Titanium vs. Tungsten: Which One Is the Lord of the Rings? Two of the most popular alternatives to precious metals for wedding bands are titanium and tungsten, in the form of tungsten carbide. 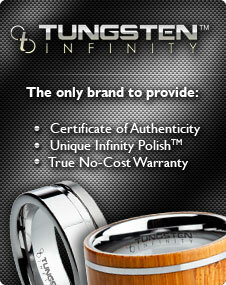 Tungsten carbide wedding bands are very popular at the moment, but titanium rings are available as well. While they share some certain similarities and may even appear indistinguishable, there are some important differences to consider that may make either one more or less suitable for your life. Men’s tungsten wedding bands and titanium wedding bands are very popular for their sleek modern looks, low prices, and wide range of readily available styles. You might think they’re interchangeable, but reading this blog will set the record straight. Both tungsten carbide and titanium are renowned for their durability. While they’re both certainly tough-wearing and resistant to damage, there are some differences to consider here. Metals are judged by the Mohs scale of mineral hardness, and tungsten carbide rates a nine out of ten. Titanium, in comparison, only rates a six. This means that tungsten carbide handily wins in the arena of scratch resistance, as only something as hard as a diamond will make a mark in the metal. However, because of tungsten carbide’s extreme hardness, it has no ability to flex and bend. This can pose a problem if it suffers a sharp impact, and it may crack or shatter. Titanium, being a bit softer, has more give and can resist cracking. If you take your ring off a lot, you may want to go with titanium, as the ability to better survive a fall onto a hard surface might be of interest to you. The scratch resistance of a tungsten carbide wedding ring means that the finish will stay untarnished and scratch-free for the duration of its lifetime, without requiring the meticulous and time-consuming upkeep that rings made of precious metals require. 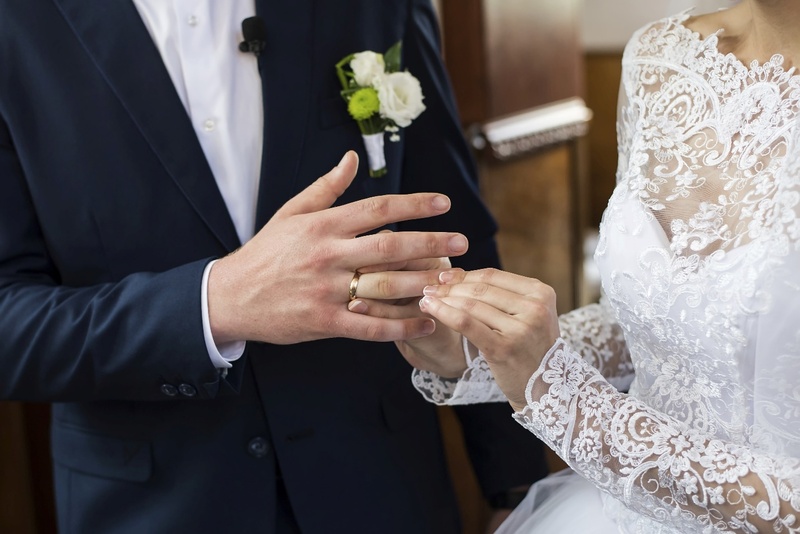 Your wedding ring is the symbol of your bond and commitment; having a tarnished, blemished, scuffed, and scratched band is unsightly and can even be embarrassing. Titanium and tungsten carbide are at opposite ends of the spectrum when it comes to weight. Titanium is extremely light, whereas tungsten carbide is dense and heavy. Because weight has traditionally been used as a quality indicator, the weightiness of tungsten carbide might make it feel more like jewelry than a titanium ring otherwise would. The weight of tungsten also serves as a reminder that the ring is being worn, making one less likely to forget it or leave it behind. 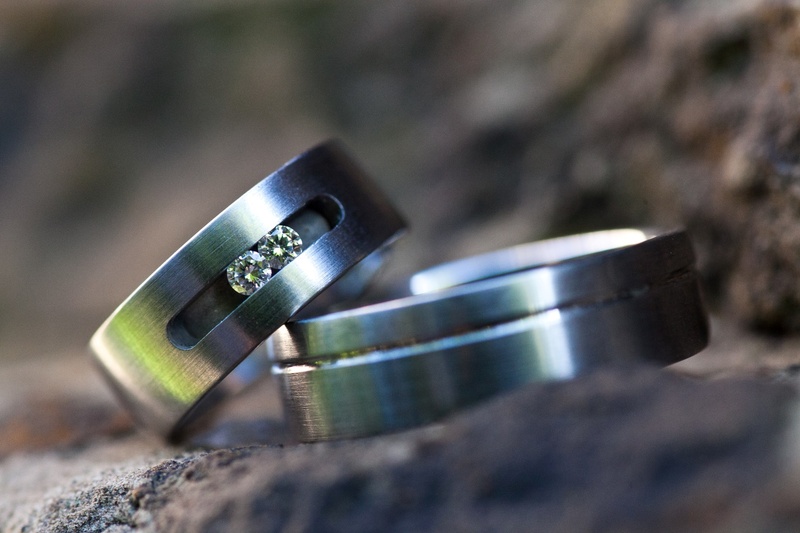 It’s a myth that tungsten carbide rings can’t be engraved due to their hardness. While titanium rings are able to be engraved the traditional way, by using a tool to remove metal to leave an impression, tungsten carbide rings are engraved using a laser. In fact, many people prefer laser engraving, as it leaves a result that is both readable and smooth to the touch, instead of leaving behind divots that can fill with dirt and grime. For more information about tungsten and titanium wedding bands, please visit Men’s Tungsten Online and browse our selection.